Cabo San Lucas: the envy of every college kid looking to have fun during spring break. While the majority of Cal students were on campus preparing for their next midterms, the No. 10 Cal men’s golf team headed down to Mexico to participate in the Querencia Cabo Collegiate tournament. The Bears did not disappoint. In a field stacked with 10 of 16 teams ranked inside the top 25, including the top two teams in the country, Cal finished second to No. 1 Oklahoma State to help cement its status as one of the elite programs in the country. 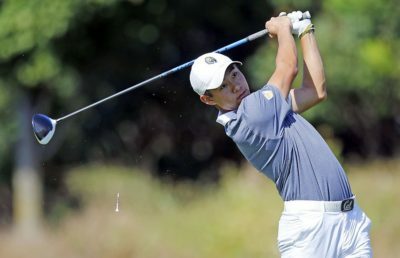 As if a second-place team finish in what’s widely considered one of the toughest tournaments of the year wasn’t enough, junior Collin Morikawa put on a show, shooting an astonishing 197 (-16), to capture his second consecutive individual victory and third of his prestigious collegiate career. 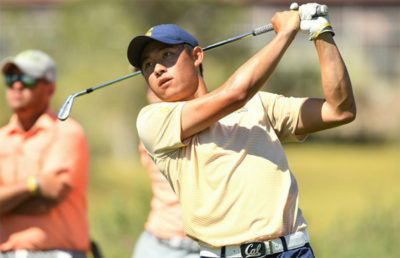 In the first round of the competition, Cal jumped out to a strong start by showing grit amid tough desert conditions. The Bears, led by Morikawa who shot 66 (-5) and redshirt junior Sebastian Crampton who fired a 69 (-2), shot 281 (-3) and sat five shots behind the Cowboys. The second round saw Cal begin to mount significant pressure on the top team in the country. The Bears shot a round-best 278 (-6) and stood only one shot back of the leaders going into the final day. Morikawa fired a 67 (-4) to propel him into a tie for first, while redshirt sophomore Jamie Cheatham turned in an impressive 68 (-3) to finish the day in a tie for seventh. In the final round, the Bears tried their best to continue to mount pressure on the Cowboys. Cal, however, finally cooled down, while Oklahoma State reminded the entire tournament field why it is the best team in the country. When the final round was all said and done, Cal had shot a 287 (+3) to finish second overall. Morikawa went on one final blitz, including six birdies and one eagle, to seal the individual victory. 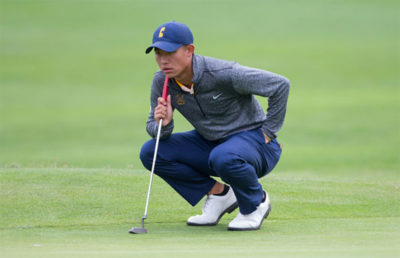 Overall, Cheatham finished in a tie for 12th, Crampton ended in a tie for 33th, redshirt junior KK Limbhasut came in tied for 36th and freshman Kaiwen Liu was tied for 45th in his return to action from an ankle injury. Overall, Cal has to be extremely pleased with its effort this weekend. On a national stage with some of the best teams in the country, the Bears displayed that they are a team to be reckoned with, come postseason time.